NOT ALONE. 2e kiddos who take antidepressants are among about 13 percent of the population who take such meds, according to Time. The National Center for Health Statistics released the number (counting only people only 12 and older), which is up two percentage points from a decade ago. Read more. AND IF YOU'RE WORKING WITH a mental health professional for the benefit of your 2e child, you'll be interested in a new article at the site of the Child Mind Institute, "How to Work Well with Your Child's Therapist." Tips include: be forthcoming and transparent; have realistic expectations for treatment; and monitor and reinforce the treatment. Find the article. WHAT DO YOU WORRY ABOUT for your child? A poll of parents finds that, overall, about 40 percent of parents worry about two common 2e-related issues, depression and stress. The number one concern: bullying or cyberbullying. The top 10 concerns differed among parents who are black, white, and Hispanic. Go to the Washington Post to find out how your worries compare to other parents'. MOVING. Got a kiddo with intense emotions, or one with ADHD, and planning a move? An "On Parenting" column provides advice on how to help such children cope with moving and the transitions that go with it. Interestingly, the columnist begins with the parents -- the importance of being "organized, calm, hopeful, and tapped into your emotions." Family meetings are advised, as is tapping into the feelings of the young ones. Find the column. Microlearning-- short bursts of content -- is advocated for some "non-traditional" learners in an article at Education Dive. Find out more. Understood offers a primer on RTI, response to intervention, an approach for helping struggling students achieve at grade level. Find the primer, but remember that there are "wrinkles" in applying RTI to 2e kiddos. On-line learning is more available at charter schools than at traditional public schools, according to Education Week, with availability at 29 percent and 20 percent respectively. Also mentioned -- somewhat different measures from a related study. Read more. AND SPEAKING OF non-traditional learners, Jen the Blogger writes about potential pathways for such kiddos. She observes how most members of her (and her husband's) family avoided the "traditional" route through four years of college immediately following high school, and how the route of one of her sons seems pretty flexible at the moment. If you're wondering where your 2e kiddo's educational path will go, check out the blog. AND IF THEY DO GO to college, twice-exceptional young people will likely still find challenges in the transition to the workplace, starting with actually finding a job. Psychologist Devon MacEachron, who specializes in the twice-exceptional, has written a blog post about this transition, featuring a nifty three-part Venn diagram (strengths, interests, values); advice to acknowledge challenges; and case studies of 2e young people in such a transition. Find the blog. TEACHERS AND ADHD STUDENTS. Education World has published an article titled "Strategies and Resources for Supporting Students with ADHD," focusing on the teacher's role in identifying, supporting, and teaching those students. The article also highlights a new book on using school teams to help students with ADHD. The article identifies teachers needs as being training; proven, evidence-based strategies for dealing with students with ADHD; and collaboration with caregivers. Find the article. CBT VS NEUROFEEDBACK. New research indicates that CBT can achieve the same results as neurofeedback training in treating the symptoms of ADHD, and in a more efficient manner. 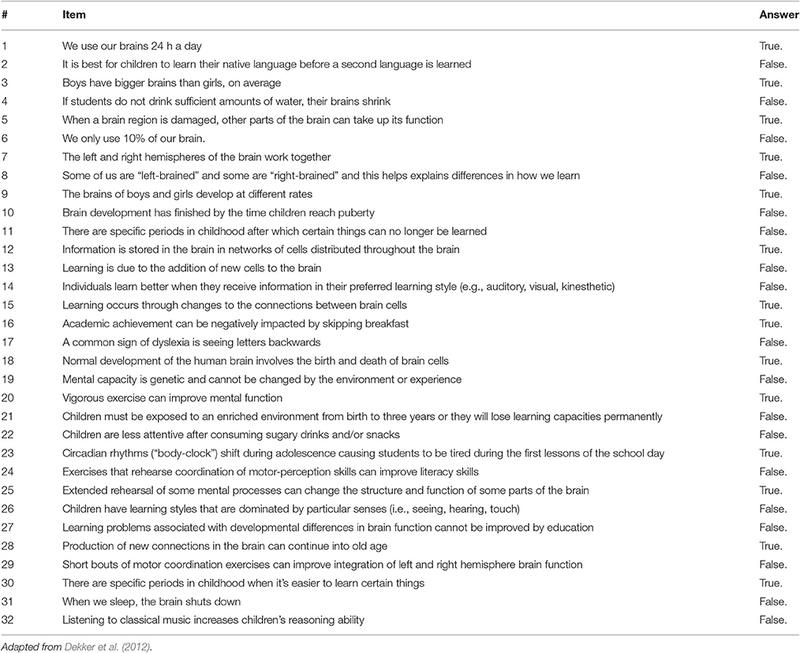 Note that the research used adult subjects. Read more. SUMMIT CENTER. The latest newsletter from the Summit Center yielded several tidbits. Psychologist Dan Peters offers advice for parents on supporting children during the back-to-school transition. Find it. Summit Center will offer this fall a four-session monthly discussion group for parents of gifted and 2e children. The group will follow the SENG Model Parenting Group format and will start on September 14 in Walnut Creek, California. Find out more. Jade Rivera, according to Summit Center's newsletter, is opening a micro-school for gifted and 2e children in Oakland, California. Find out more. GIFTED STEREOTYPES AND RAMIFICATIONS are the subject of a new blog posting by psychologist Gail Post. Some, but not all, of the stereotypes may apply to that 2e kiddo you raise or teach. Find the Gifted Challenges blog. TiLT PARENTING has another podcast out, this one an interview with the author of the book To Siri With Love, based on an essay about the author's ASD son's relation with Siri. From Debbie Reber's podcast blurb: "I had a chance to read an advance copy of Judith’s book, and was struck by its very honest, often humorous, and at times controversial peek into Judith’s world, as she shares stories from her life with Gus, his neurotypical twin Henry, and her husband... [I]in openly sharing what’s real in her world through this book, Judith hopes to help others, especially those who may not understand or relate to the experience of autistic people, feel more comfortable and accepting of those who are differently-wired." Find the podcast. A "call for papers" from prospective presenters is open until September 15. Thinking of attending and/or presenting? Find out more. SENG CONNECT. The organization Supporting Emotional Needs of the Gifted has established an online community, SENG Connect, which, in SENG's words, "provides gifted individuals and gifted families with a safe haven for discussion, support and learning....Topics such as connectivity, education, gifted adults, diversity, creativity, parenting, social/emotional well-being, and many others will be explored." Find out more. FROM SCIENCE DAILY: "Gut microbes have been in the news lately. Recent studies show they can influence human health, behavior, and certain neurological disorders, such as autism. But just how do they communicate with the brain? Results from a new study suggest a pathway of communication between certain gut bacteria and brain metabolites, by way of a compound in the blood known as cortisol. And unexpectedly, the finding provides a potential mechanism to explain the characteristics of autism." Go to the research write-up. Did you know that researchers know very little about twice-exceptional students compared to other groups of children and adolescents? You have the opportunity to help us learn more about how middle school students view their friendships! Interested individuals are invited to participate in a research study examining the perceptions of friendship quality amongst middle school students. This information may help researchers better understand how twice-exceptional students perceive their friendships compared to their peers, which may later help clinicians develop and modify social skills interventions. We are looking for students in Grades 6, 7, or 8 (or the equivalent) who have completed standardized assessments (e.g., Iowa Assessments, Wechsler Assessments, CogAT, etc.) and would be interested in participating in our study. You will also be asked to provide demographic information about your child along with documentation of their cognitive ability (such as Iowa assessment scores from school) and ADHD diagnosis (if it applies). To participate, students will complete an online survey. The survey should take no more than 10-15 minutes to complete. The first 50 individuals to complete the survey will receive a $10 electronic Amazon gift card! If you are interested in learning more, please contact the PI (Staci Fosenburg, staci-fosenburg@uiowa.edu) for more information about how to participate in this study. Thank you! Gifted Homeschoolers Forum has posted its fall of online classes, which may be useful to homeschooled 2e kiddos or to "schooled" 2e kiddos needing enrichment. Find out more. Smart Kids with Learning Disabilities offers four tips to "start the year off right." Find them. Newswise offers back-to-school tips for parents of children who have ASD or ADHD. Find them. And Understood is presenting an "Expert Chat" on Thursday, August 31, on processing speed, with tips for helping your child keep up this year. Find out more. GET AHEAD OF THE GAME with the new school year. TiLT Parenting's podcast Episode 70 is on parental burn-out -- what it is and how to recover. Find the podcast. FOR EDUCATORS. Landmark College, in partnership with MIT, is putting on an "LD Innovation Symposium" in Cambridge, Massachusetts, at the end of September. The focus: how technology can improve teaching and learning for students with LDs. Find out more. SENSORY-FRIENDLY CLOTHING. Target is introducing versions of some of its clothing for kids that address certain sensory-sensitive issues. For example, seams are flat and there are no tags. In addition, the chain will introduce this fall what it calls "adaptive styles." Disability Scoop says, "Those offerings will likely include items with zip-off sleeves, side openings to make dressing easier or openings in the back for those who are sitting or lying down." Read more. CALIFORNIA ADDRESSES DYSLEXIA. According to Edsource, the state of California has released a set of 132-page California Dyslexia Guidelines to inform schools about dyslexia and highlight effective interventions. The guidelines are not mandatory, however. Farther down the article, the reader finds the fingerprints of the organization Decoding Dyslexia, which led the lobbying for the legislation. Find the article, and think good thoughts about Decoding Dyslexia and the state! Or, go straight to the guidelines. SEL, ANXIETY, AND SCHOOL. Here's a good quote: “School culture is the foundation of academic achievement. How a child behaves isn’t something separate from how they perform academically.” And article at District Administration describes new approaches to address social-emotional learning and anxiety in the context of academic instruction. The four main suggestions start with "rethink behavior" -- eg, from what's wrong with the student to what happened to this student. Read more. OCD RESEARCH. The Brain and Behavior Ressearch Foundation reports that new research has linked inflammation in certain brain "circuits" (in the basal ganglia, if you must know) to adult OCD. Caveats: the study was small and didn't by itself prove a causal connection. Nonetheless, researchers sound like they think they're onto something, for example paving the way to find a pharmaceutical treatment for OCD. Read more. REDUCING FEAR WITH OPTOGENETICS. Scientists established a fear response in mice, discovered that synaptic connections related to the stimulus for the fear response had been strengthened, and then weakened those connections with optogenetics, using genetically modified neurons which could be switched off or on by light. Is this kind of neurological manipulation coming soon to a brain near you? Probably not, but read more. Why didn't the current system work? Why did IEPs (or not qualifying) not do the job? Was the current system sympathetic to your needs? Were the proper accommodations made? How about the current charter school system as an alternative - did it work? How about private schools - were they the solution, and if so, tell us about the costs. What would be perfect? Is it some new system of personalization of all of the above or something else? AND MORE PD. September 4 is the deadline for applying to an online course from Landmark College, "Understanding and Supporting Diverse Learners." Says Landmark, "This course provides a core understanding of learning theories, frameworks, and best practices for working effectively with students who learn differently. Participants will explore definitions, research, historical trends, and legal mandates related to learning disabilities (including dyslexia and dyscalculia; ADHD; and autism spectrum disorder (ASD)). Students will deepen their understanding of innovative practices, incorporating Universal Design, executive function supports, and emerging educational technologies. They will explore how these approaches can be applied and adapted to provide optimal learning." Find out more. GENERAL INTELLIGENCE. So what's the "g" factor? A researcher involved in a new study poses different ways to conceive of it: "Is it a causal factor, an artifact of the way we create cognitive tests, the result of our educational environment, a consequence of genetics, an emergent phenomenon of a dynamic system or perhaps all of these things to varying degrees?" Their conclusion: cognitive abilities such as reasoning skills and vocabulary reinforce each other in a "mutualism" model. Read more. AND FINALLY, THIS. According to Science Daily, scientists have used magnetism and injected magnetic particles to activate tiny groups of cells in mouse brains, inducing bodily movements that include running, rotating and losing control of the extremities -- an achievement that could lead to advances in studying and treating neurological disease. This magneto-thermal stimulation, says Science Daily, "gives neuroscientists a powerful new tool: a remote, minimally invasive way to trigger activity deep inside the brain, turning specific cells on and off to study how these changes affect physiology." Find out more, and consider whether this tool would ever allow you to have a remote control for your misbehaving kiddo. NEUROMYTHS. A survey has shown that many educators, and even those with neuroscience training, believe in neuromyths -- common misconceptions about the brain and learning, and that that neuromyth beliefs are remarkably prevalent. One example of a neuromyth: that kiddos with dyslexia will commonly write letters backwards. According to Science Daily, "The public believed 68% of the neuromyths, educators 56%, and surprisingly, respondents with neuroscience training endorsed 46%." Find the Science Daily write-up. Find the study article itself, or the list of neuromyth questions. Separately, find an article at TED on why some children write "mirror" words or even sentences. Separately again, read a short article in Costco Connection about dyslexia that includes common misconceptions about the condition, eg that dyslexics see things backwards. Smart Kids with Learning Disabilities offers four tips for "easing back-to-school jitters; find it. Evolved.com provides a parent to-do list; find it. And the University of Alabama/Birmingham offers a brief article titled "Easing the Back-to-School Transition for Children with Special Needs"; find it. RESEARCH ABOUT ONLINE LEARNING for students with LDs is the topic of an article from the Landmark College Institute for Research and Training (LCIRT). The research, according to LCIRT, is to "explore how our students most effectively communicate in online classes and explore ways to improve student effectiveness in these spaces." Read more. SCHOOL-BASED MENTAL HEALTH PROGRAMS can be effective in improving mental health and related outcomes, according to a research review in the September/October issue of the Harvard Review of Psychiatry. The programs deal with problems such as anxiety, behavior disorders, ADHD, and depression. The eight largest such programs have reached tens of millions of children. Read more at Science Daily. Separately, The CT Mirror notes that budget cuts in Connecticut might adversely affect gains that state has made in school mental health services; find out more. THE G WORD is a documentary in production about giftedness, learning and high intelligence. Some of the content is drawn from Big Minds Unschool in California. Find out more about the documentary, whose producer was at the recent SENG conference. We've written on the topic of reduced civil rights enforcement before, but an article at Politico notes that the current U.S. Department of Education administration is closing lots of education-related civil rights complaints. According to Politico, investigators have been told to "narrow their focus to the merits of a particular claim, rather than probing systemic issues." Read more. The Washington Post provides a summary of the accomplishments and agenda of the secretary of education over the past six months; find it. And the Associated Press recently interviewed the education secretary; find a transcript. AND FINALLY, THIS. Science Daily tells us that in the largest functional brain imaging study to date, researchers compared 46,034 brain SPECT (single photon emission computed tomography) imaging studies provided by nine clinics, quantifying differences between the brains of men and women. One conclusion? "The brains of women in the study were significantly more active in many more areas of the brain than men, especially in the prefrontal cortex, involved with focus and impulse control, and the limbic or emotional areas of the brain, involved with mood and anxiety." Read more. STRESS AND ANXIETY. A psychologist from Boys Town writes in The Washington Post about stress and anxiety in teens, and what parents can do to help. Basic steps include: looking for signs; letting kids know it's okay to feel upset; and having more family time. Read more. Separately, an article at Philly.com is titled "How family doctors can help kids and teens fight depression and anxiety." It is based on reportage from a panel session at a recent National Medical Association. Panel members urged practitioners to: look beyond the words, because irritability or boredom can be signs of depression; look for excessive cellphone use; and recognize that regular family dinners might not occur in some homes. Panelists noted that some families might not trust mental health professionals as much as the family doctor. Said one panelist, "“No kid should leave your office without a safety plan." Read more. Also on the topic of what the family doctor can do to find or treat mental health issues, The Agenda feature at Politico.com notes an Alaskan healthcare system that built mental health into its primary care practice. Read more. (Also at Politico.com "5 must-reads on mental illness." WE'LL HEAR MORE ON THIS. The University of Chicago issued a press release about research results published this week. The research analyzed genetic and environmental influences on common diseases in almost half a million people in 130,000 families. The research revealed surprising correlations between diseases -- for example that migraines "appeared to be most genetically similar to irritable bowel syndrome." Here's what the press release says, in part: "...the team created a disease classification based on two measures. One focused on shared genetic correlations of diseases, or how often diseases occurred among genetically-related individuals, such as parents and children. The other focused on the familial environment, or how often diseases occurred among those sharing a home but who had no or partially matching genetic backgrounds, such as spouses and siblings." Among the conditions categorized are ADHD, anxiety phobic disorder, depression, mood disorder, and substance abuse. The release contains a chart showing the various relationships between diseases, genetics, and the environment -- but it's not for the faint of heart to try to figure out, although readers here certainly have as good a chance as anyone to make sense of it. Find the press release, and watch for further explanation of this (we hope) in the mainstream media over the next week or so. Josh Shaine, the organizer of the Beyond IQ conferences, successor to the Hollingsworth conferences, has a Facebook group called Gifted "Underachievers" -- his quotes, not ours. If this topic interests you, perhaps check it out. The Fringy Bit is a group of resources from two family therapists from Wisconsin, one of whom we met at the SENG conference. "Kids on the fringe" are like the ones you raise and educate. The couple's goals are to provide support and connection to the Fringy Bit community -- support via podcasts, Facebook, a blog, and more. Find out more. The conference was also inspiration for Jen the Blogger to write about her gratitude for some things that happened during the conference, more specifically how one of her sons engaged with the 2e community there. Those active in the 2e community know that the individuals responsible for one's participation in the community are often wary of being associated with it themselves. But not so in this case. Find Jen's blog. TiLT PARENTING has released its newest podcast, this one about the experiences of Debbie's son at summer Space Camp. It's a follow-up to an earlier podcast about the son's preparations for the camp, eg in terms of predicting and planning for "tricky situations" that might arise at camp. Find the podcast. AND FINALLY, THIS. A 9yo boy applied to become NASA's planetary protection officer, a new position at the agency. One qualification he listed, according to The Washington Post: "My sister thinks I'm an alien." He actually got a good reaction from NASA -- although not the job. Read more. PARENTS, YOU'RE NOT ALONE. You know that from this site and others. But if you want to read what other parents hear about their kiddos and then either laugh or cry, check out the site of Romper. A mom of a 2e kiddo put together a page called "10 Special Needs Moms Share the Worst Thing They Heard About Their Child." Examples? He'll grow out of it. You vaccinated him, that's why he's on the spectrum. Or, if you loved him more.... Ugh and ugly but might make you feel better. NOT NAPOLEON'S WATERLOO. A foundation in Waterloo, Iowa, has raised and funded education-related grants and initiative to the tune of over $1 million in the past five years. The latest donation is to support twice-exceptional students. Read more. JOB OPPORTUNITY. FlexSchool New Haven in Connecticut, a school for gifted and 2e kiddos, is looking for an assistant head of school for the upcoming school year. If you're interested -- or if you know someone who might be -- find out about the mindset of the successful applicant, his or her responsibilities, desired qualifications, and more at our website. 2e NEWSLETTER co-publisher J Mark Bade finally made it to social media at last weekend's SENG conference when Julie Skolnick, of With Understanding Comes Calm, live-streamed on Facebook his response to the question, "What would you most want to see for 2e children." You can see the response at our Facebook page, or, with responses by Mike Postma and James Webb, at Julie's FB page. AUTISM SPEAKS is revamping its strategic plan and scientific priorities and, according to Disability Scoop, "is collecting feedback on what type of research the group should be emphasizing or avoiding as it distributes funds going forward." If you have opinions on the focus of autism-related research, find out more. TSK, TSK NYC. First it was Texas, putting a cap on the percentage of students eligible for special ed services. Now, it seems, New York City schools have been short-changing special ed students by not providing services in-house but rather issuing "vouchers" for obtaining those services from private providers. Trouble is, few providers accept the vouchers, and it's up to parents to coordinate and travel to services that should have been provided on school time; this according to Disability Scoop. Read more. EXERCISE AND ADHD is the topic of an article at US News. Does it help? If so, what kind of exercise or sports? Find out more. SUGAR AND MENTAL HEALTH are examined in an article at Medical News Today. Several studies indicate that sugar consumption can lead to -- not just be "linked to" depression. The article gets into "the science of sugar" and "sugar and neurons," as well as ways to cut sugar from the diet. Find the article. HOW'S YOUR COMMUNICATION with your child? If you're like many parents of smart kiddos who also have learning challenges, communication at home is often less than ideal. Smart Kids with Learning Disabilities offers a new post, "10 Ways to Improve Communication with Your Child." The 2e community might have an emerging "poster child" in researcher/author Scott Barry Kaufman, who gave a keynote on Saturday morning. Simultaneously engaging, funny, and informative, Kaufman, whose CAPD landed him in special ed as a child, sensed the audience was, as he said, "my crowd." Kaufman has a new book coming ut soon, "Twice Exceptional: Supporting and Educating Bright and Creative Students with Learning Difficulties," that will include chapters by authors familiar to many readers of 2e Newsletter. In addition, a TED Talk by Kaufman on twice exceptionality will be available in the next week or so. The conference seemed well attended. As usual, attendees were all motivated by the chance to share information about gifted kiddos and the social-emotional, mental health, or learning issues they might have. Our impression is that parents find it easy to make connections at these SENG conferences, and that the professionals in attendance seem willing to be accessible. Our impression is that parents are probably the biggest segment of the audience, then educators, then service providers. The conference is 2e Newsletter's opportunity to make connections as well. For example, at our exhibit table we met a counselor from Asheville and one from Denver. Since we sometimes get calls from parents looking for resources of one sort or another in different parts of the country, and new connections help us point to those resources. Sometimes at the conference we are able to point parents to resources that are right there at the conference. We pointed one local family to a suburban counseling/psychological services group that apparently does a lot of work with 2e children. The group had an exhibit table and was also giving several presentations. We hear lots of stories from families, some about successes for their 2e kiddo because of a school district willing and able to take on the kiddo's challenges. We also hear about districts unwilling or unable to serve our kids. And sometimes we hear truly scary stories, for example about children way too young who are encountering existential concerns. We re-establish connections with others who serve the 2e community and get inspiration on ways to serve the community. And we always receive inspiration from the "high achievers" we talk to -- those whose lives are virtually consumed by the roles they've chosen in the community as leading-edge educators, researchers, presenters, or information disseminators. They all have our deepest respect. SENG's interim director Mike Postma, on the job for a few months, gets LOTS of credit for pulling together the successful conference in the midst of staff changes and other challenges. Hats off to Mike! And we always appreciate it when an attendee stops by our exhibit table to tell us they've found the newsletter informative and useful. Feedback like that at a conference like SENG can keep us going for another year! Watch for more information about the conference in our next newsletter issue and for pics on our Facebook page as soon as we go through them. The 2e Center for Research and Professional Development at Bridges Academy has released more information about its October symposium, "Vision and Leadership in 2e Education," to be held in Los Angeles. The event is intended for just about anyone in the 2e community. Find out more. Twice-Exceptional Children's Advocacy, TECA, has released more information about its October conference, "Building 2e Awareness and Community," in the New York City area. The event is directed at those in the 2e community in the New York tri-state area. Find out more. And SENG's annual conference kicks off today in Naperville, Illinois. Find out more. Understood provides back-to-school letters you can adapt and use to help this year's teacher understand your child's learning challenges. Find them. NCLD, the National Center for Learning Disabilities, now offers a resource on personalized learning. Says NCLD: "This resource hub contains information, case studies, and recommendations -- all with an eye on the needs and success of students with disabilities -- tailored for parents, educators, school communities and policymakers, wherever and however they may be approaching personalized learning. Funded by the Bill and Melinda Gates Foundation, this addition to NCLD.org is the culmination of a three-year exploration of how students with disabilities can benefit from efforts to customize their learning to align with their strengths and interests." Find it. Smart Kids with Learning Disabilities tells what to watch for in terms of red flags for dyslexia that should prompt early intervention. Go there. ADDitude, noting that pediatricians vary in their capability to serve as mental health resource, tells "how to solve the patient-provider mismatch." Go to ADDitude. With Understanding Comes Calm offers the newest edition of its Gifted and Distractible newsletter. Read Julie's piece "Running to Stand Still" about the emotion and dedication shown by parents in the 2e community. Find "Gifted and Distractible." At the Gifted Development Center, Bobbie Gilman and Linda Silverman consider the situation where an anything-but-average child earns average test scores. Go to GDC. And TiLT Parenting has released Episode 5,000 -- wait, "only" Episode 68 -- in its rapidly growing podcast series. Says TiLT founder Debbie Reber, "In today’s episode, [consultant/author] Rachel and I will look at what the research has to say about the impact of video games in our kids' lives, bust some myths about the potential harms and benefits of video gaming, and answer questions posed by members of the TiLT Parenting Facebook page. Whether your child is into Minecraft, Clash of Clans, Slime Rancher, Hey Day, or any other online games, I guarantee you’ll take away some nuggets from today’s episode." Take Debbie up on her guarantee. AND IT'S OFF to the SENG conference!